There is no question that there is a shortage of proper Class A office buildings between 34th and 42nd Streets. However, over the past several years, one of the best owners in New York City, Vornado Realty Trust, infused a tremendous amount of capital into improving 90 Park Avenue to become one of the premier assets in the Grand Central submarket. Home to notable tenants such as PwC, Alston & Bird, and First New York, the building is now a top 5 candidate for tenants in search of trophy quality office spaces. Having recently underwent significant capital improvements to the lobby, elevator cabs, retail storefronts and mechanical systems, it now commands some of the highest rents in the area. That being said, there is a high-end, plug and play, hedge fund or investment bank sublease that can be made available but has not yet hit the market. 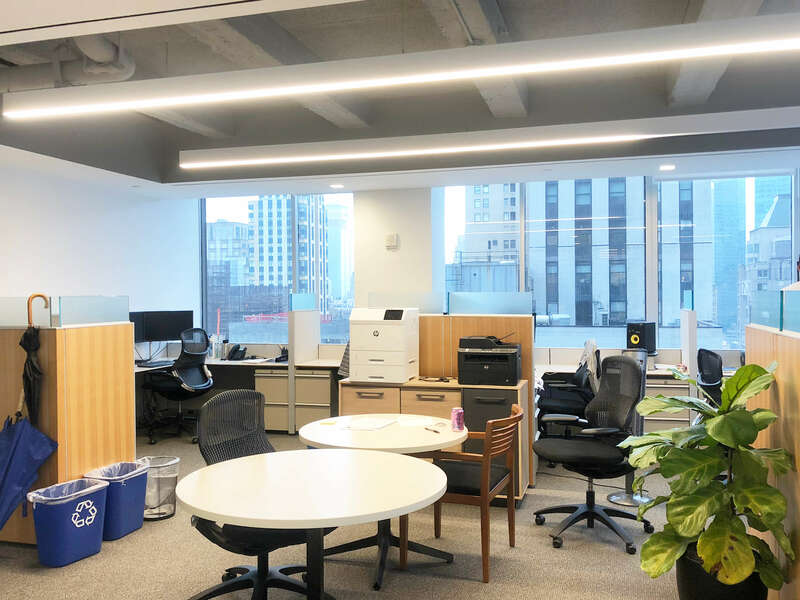 Offered for sublease from Financial Technology Partners, the partial 25th floor currently measures 6,486 rentable square feet and is available for occupancy in Q1 2019. The premises was constructed less than two years ago with full glass-fronted offices and doors throughout with a mixture of exposed and dropped ceilings. It is currently configured with 6 perimeter offices (1 executive corner), a large conference room for 10, a small meeting room, an 8 person administrative area, another bullpen for 7-9 employees, and a wet pantry. There is a double glass-door entryway right off the elevator bank and supplemental HVAC servicing the space. The sublease term extends through August of 2022, the sweet spot for maintaining flexibility. The furniture and infrastructure can be made available for an incoming subtenant’s use. Check out the below video and let us know what you think. For more information on this opportunity, please click here. Feel free to try our free office space search here.